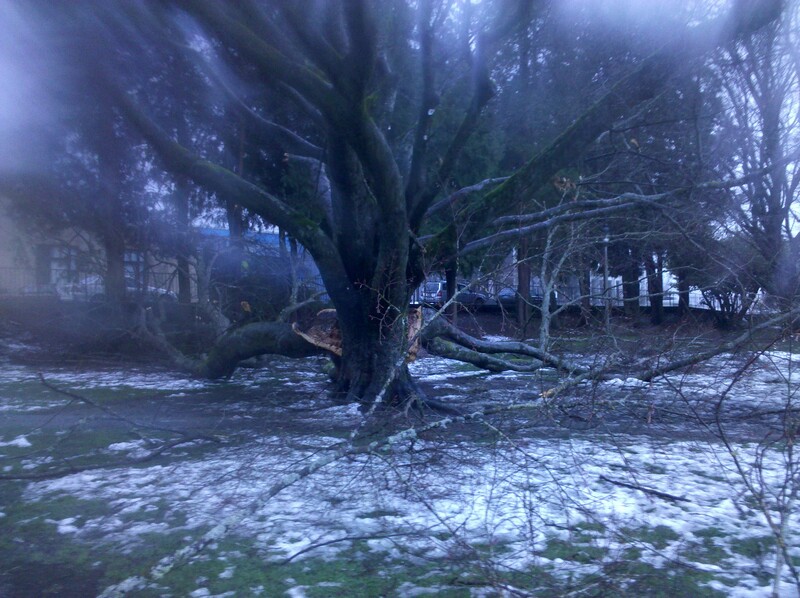 The winter storm of January ’12 hit right on time. It socked me in good. I was holed up in my Martin cave, unable to run The Tree for several days, eating cheese and drinking red wine given to me by some dentists I bartended for on Friday the 13th. I think they felt bad for me; right before the event, Big W called to tell me they were hiring a new hottie to work my well. We ended it with honor, but afterwards I told the caterers about it and they sent me home well-stocked with comfort foods. 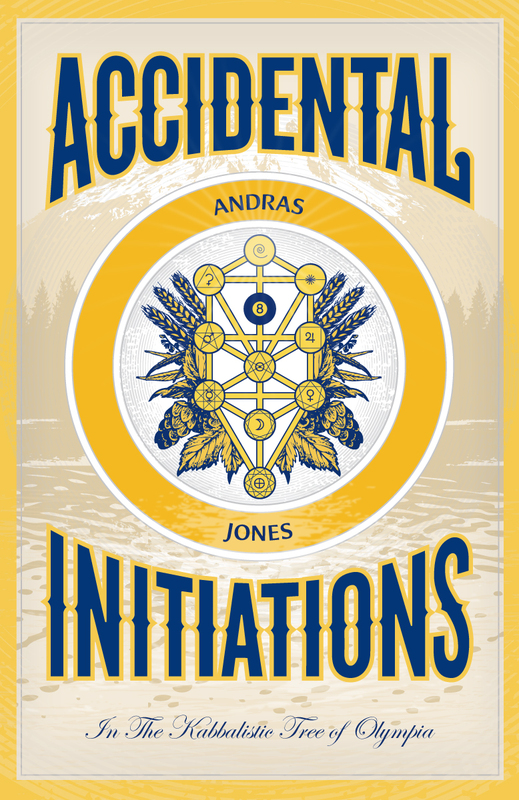 My cowboy nights behind me, I dug into a final rewrite of Accidental Initiations as the snow blanketed Olympia. For a day there I was pretty sure that one of the chapters sucked; the one I think will probably get the most critical scrutiny. I felt mentally, as well as physically, snowed in. And then the inevitable breakthrough, at which point the flakes turned to drops and my Tree, though minimally flooded, was once again accessible to me in my holy (as in, full of holes) running shoes. When I got to the park I saw that one of my favorite trees, a big old beech tree planted by the park’s namesake Edmund Sylvester, had exploded. 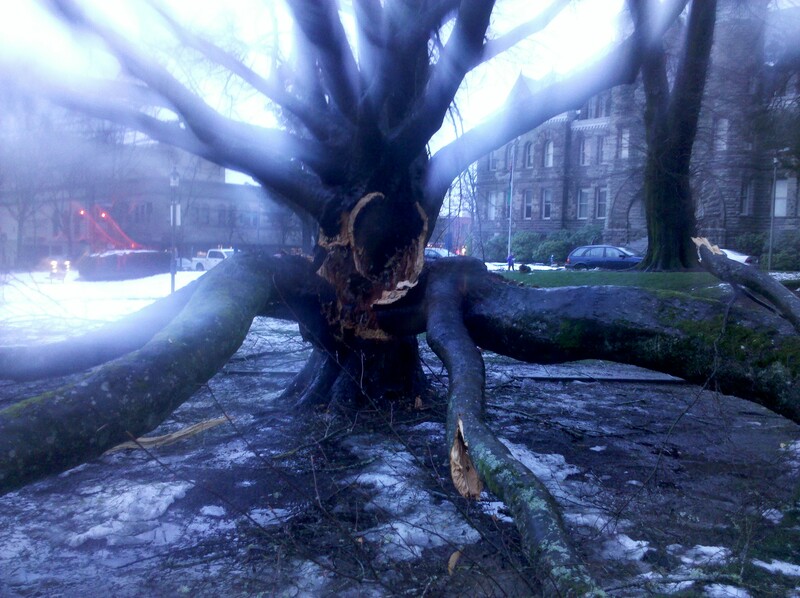 Two huge branches had separated from the trunk of the tree and fallen to the ground, splayed apart like the legs of a giant. Where the branches had been connected, a gaping dark cavity was opened in the tree. When I looked inside I noticed a block of cement. At the beginning of Accidental Initiations I write about having placed a stone in a tree, and wondering if this damaged it. 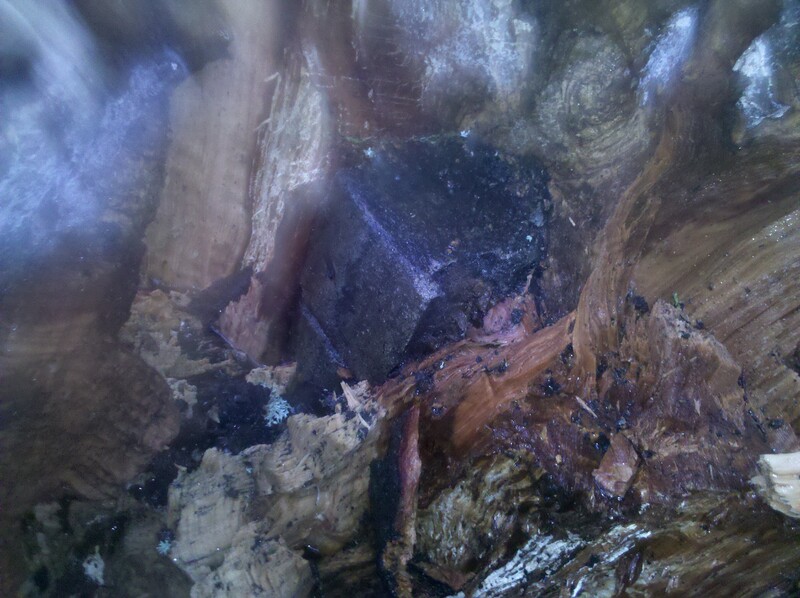 The block of cement in the core of this, now mortally wounded beech, has me thinking similar thoughts. How did it get in there? During the storm, while the tree at Hod was succumbing to ice and gravity, and my teeth were singing with the strain of Geburah’s inspiration for my sixth chapter, the sacred whore from my book was in Bali getting engaged. She called to tell me so last night. I said the right things, and then I smoked a little pot. If I didn’t know summer was coming I’d be pretty depressed. This entry was posted in Hod, Kabbalah, Olympia, Synchronicity and tagged Hod, Kabbalah, Olympia, Sylvester Park, synchronicity. Bookmark the permalink. Just wanted to let you know that I nominated you for the Versatile Blogger Award because I have very much enjoyed reading your blog. Thanks Spidergoddess. I look forward to reading your blog. So, finally – I let it all go tonight. Any fear I had, any expectations, any thoughts of manipulation or force. My storm was apparently in my head – as it usually is – since the weather in Ohio gives me everything but the desired wind, lightning, rain, and thunder combination I prefer and seek. It’s why I look elsewhere now. And I’m still looking for my tree, in any sense of the word, but I think I’m getting closer. Around 1pm yesterday, with a fine mist slashing every which way, I pulled the car over to watch a possum waddle its way through my yard … my first thought, naturally, was “what the hell is that?” It took me a moment since I think they’re kinda cute, scruffy fluffy critters, nocturnal garbage-eaters – and you know, seeing one in the daytime – my optic nerve just did not process it immediately. My second thought was – that poor thing reminds me of a friend – we’ll call him David. … the animal looked cold, wet, alone, sad, lost, and most of all – like it just didn’t belong. Which it didn’t. Half-blind and snuffling, shuffling along, its little snout as low to the ground as its belly … it was just a long way from home and had no clue where it was going. Finally, with a little shake, and probably a deep sigh, the animal turns away and heads to the backyard, where it disappears from my view. I only found myself hoping it made its way home – in any sense of the word. I relate this story to David over Thai food – and he says, “they eat garbage, you know.” I said, “Yes, (dramatic pause) I know.” “So, you’re saying I remind you of a lost, yet cute, garbage eater?” I nod my head yes. He’s miffed, I suspect. But I would not have been able to see any of this if I didn’t also catch a glimpse of myself in the animal, in David – a little reflection on a reflection, I guess. So, I think its time he and I found our respective ways home and stopped picking up so much bloody garbage along the way.